Located directly behind the Visitor Center, this short, paved interpretive loop is perfect for those short on time, or looking for an easy or handicap-accessible stroll. Learn about local history and ecology along the trail. Print a brochure here. The Bitterbrush Trail is the connector between the north and south sides of Galena Creek Regional Park. Cross-country skiing, hiking, snowshoeing. Dogs on leash. The nature trail is located off the Bitterbrush trail in Galena Creek Regional Park. The loop has 18 signposts that correspond to a nature trail brochure with information about the ecology and cultural history of the area. Hiking. Dogs on leash. Print a brochure here. 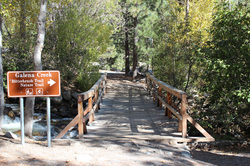 Beginning at the Jones Creek Trailhead, it is a 1/2 mile hike before coming to a fork in the trail. The left-hand loop climbs steeply towards Church's Pond, continuing around to the Whites Creek Trail. Be sure to look out for the junction that returns to Galena Park. For a less strenuous loop, turn right at the junction to start the loop in a counter-clockwise directions. 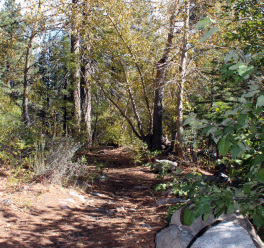 The trail climbs gradually and enters Whites Canyon, continuing 1.5 miles to the Mount Rose Wilderness, climbing to 8,000 feet with great views. Equestrian, hiking, snowshoeing. Closed to mountain bikes at the Mount Rose Wilderness. Accessed off Timberline Drive, this trail is a favorite of fall foliage seekers! 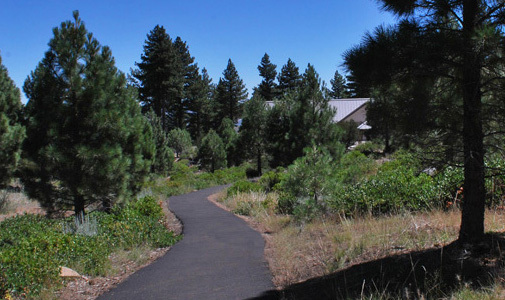 This trail follows Thomas Creek, providing connection to the Dry Pond Trail at mile 1.5, or continue to the Mount Rose Wilderness at 3.9 miles. 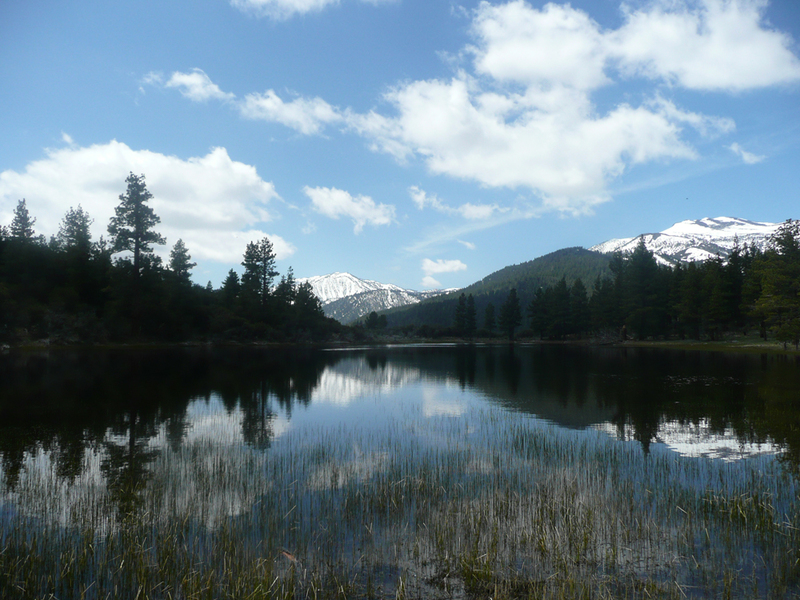 Along this trail you will find both Jeffrey Pine and aspen woodland habitat, and some amazing fall color. Equestrian, hiking, mountain biking, snowshoeing. Dogs on leash. 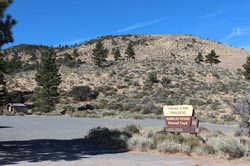 Accessed off Timberline Drive and turn left onto a paved road leading to the seasonal trailhead, which is closed at night and during the winter. 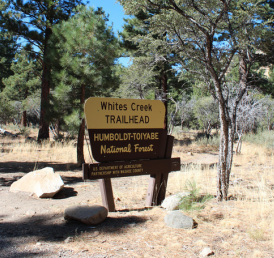 This trail connects to the Jones-Whites Creek Loop and accesses the 19,000-acre Mount Rose Wilderness. Equestrian, hiking, mountain biking (not allowed in wilderness areas), snowshoeing. Dogs on leash. This trail connects the Upper Thomas Creek Trail to the Upper Whites Creek Trail, passing by the seasonal Dry Pond. The pond has water during the late spring. The Dry Pond Loop is a favorite of mountain bikers, measuring approximately 7 miles long. Equestrian, hiking, mountain biking, snowshoeing. Dogs on leash.